If you are about to choose a new kitchen or you would like to renew the old one, designers offer new ideas that would help you to find the colour solution that is just for you. 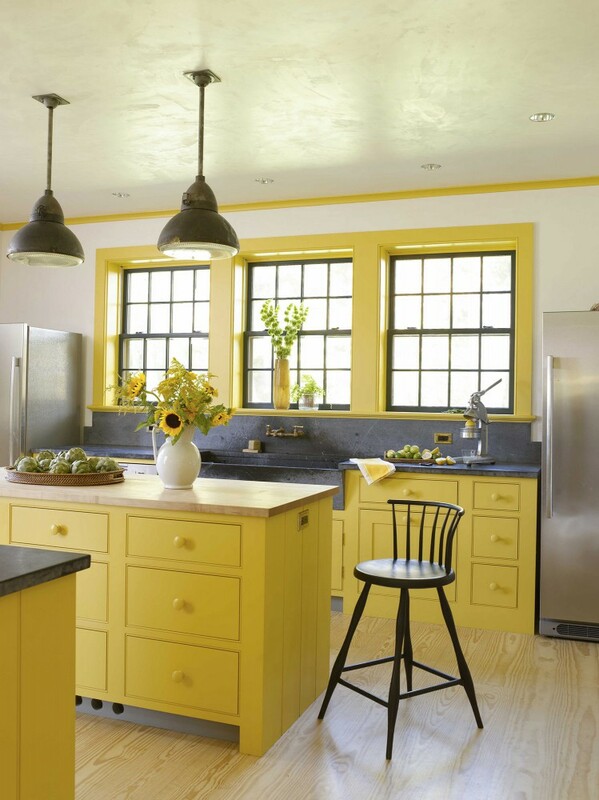 Like yellow for example, the colour of joy and the optimism that reflects the space and last but not least –stimulates the appetite. 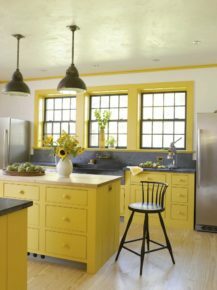 The cabinets in the warm yellow tones are in composition with the windows that are in yellow too, the white of the electric appliances with white and the dark colour of the floors. Warm yellow as the sunflowers in the vase bring the sense of spring, of rejuvenation and revitalization of everything around us. This accent provides the kitchen with light which make of it a pleasant place for living.